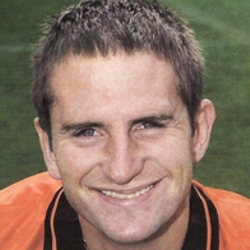 Mark joined United from Cove Rangers. Over the next four years he developed through the youth and reserve teams, and made the breakthrough in 1992-93, gradually becoming an established first team player. 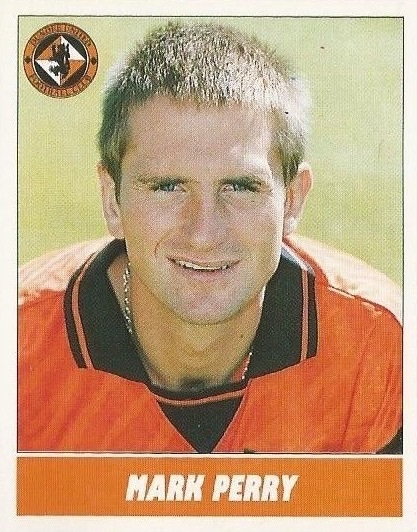 He collected a runners-up medal in the League Cup final of 1997 but left in May 1998 under freedom of contract, joining Aberdeen. Mark was born on this date in Aberdeen. 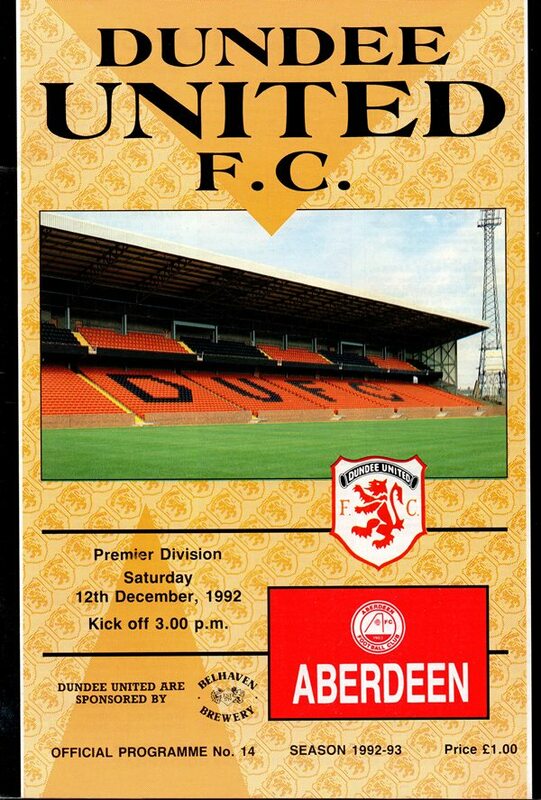 Mark Perry made his first team debut against his home town club as Aberdeen came to Tannadice seeking to end a goal drought which they had endured for more than 450 minutes of New Firm derbies. They would have arrested that run after a mere 13 minutes had Alan Main not smartly diverted a Jess header round the post. Eight minutes later Jess and Booth combined again to finally nail that scoring bogey. Booth raced to the bye-tine and Eion Jess swept his cutback into the far corner. A Scott Crabbe volley which flew just wide was about the only first half threat we posed to the Dons and when they went further in front early in the second half, a long unbeaten run against them looked over. Our re-arranged meeting with Rangers, first postponed on 5th December, went ahead exactly a month later and proved an exciting and close fought affair as we recovered from a two goal interval deficit. Despite making a highly encouraging start to proceedings as we took the match to the home side, we fell behind after only eight minutes in what was Rangers first attack. McCoist fed Steven who in turn swept the ball out to Robertson on the left and when his first time cross came over Mark Hateley had only to nod the ball into the empty net. When Rangers went further ahead in the 23rd minute our task of taking something from the game began to look insurmountable against a side with a stammeringly fine home record. Certainly there was a fair measure of good fortune surrounding that second goal. McCoist did well to control a fast driven cross field ball, but as he stretched to get a second stab at the ball, he only succeeded in toe-ending the ball high into the air. Unfortunately for us it dropped on to the top of the crossbar and Stuart McCall was standing on the line to head the ball home. We made it five consecutive league wins, but had to come from behind to do so. Killie definitely had the edge in an exciting first half, at the end of which the only surprise was that there had only been one goal - and even that was from a missed penalty which Sieb Dyksfra saved only for Roberts, the original taker to follow up and net. Another disappointing result which left us on a knifedge in the relegation zone. There wasn't much in the game but we were up against it after being reduced to ten men following the sending off of Erik Pedersen after just 27 minutes. If anything we had the better of the match after being reduced to ten men. But it was Saints who struck the vital first goal, Jenkinson volleying home from the left. In the final minute O'Boyle made if two when he netted after Roddy Grant's shot rebounded off the inside of the post.